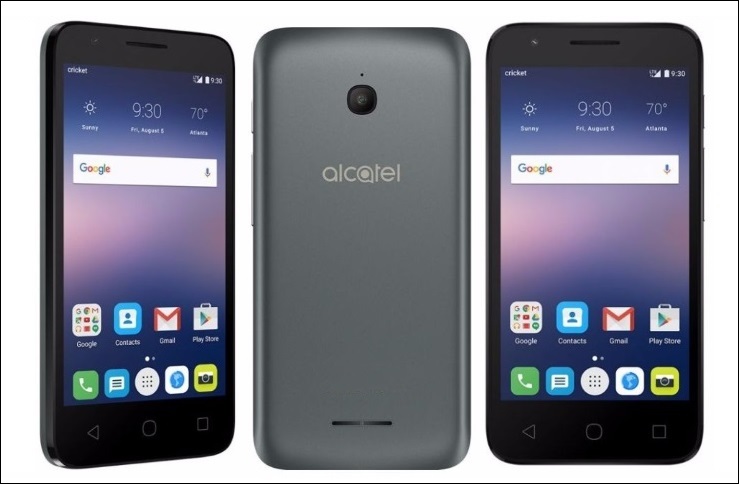 Alcatel Streak Smartphone Officially Launched With Snapdragon 210 SoC Specification Features :- A French international mobile phone maker company, Alcatel has finally launched a latest mobile phone ” Alcatel Streak” in Indian with the price Rs. 2,005 INR, It is the cheapest phone comes for the Indian business. The latest phone launched with Qualcomm Snapdragon 210 SoC and Also the fresh phone has an excellent design that provides for manageable one-hand navigation. The Latest Alcatel Streak Smartphone highlights a small 4.5-inch FWVGA 854 x 480 pixels resolution display with 218ppi pixel density. The mobile phone is controlled by a 1.1Ghz quad-core Qualcomm Snapdragon 210 processor with Adreno 304 Graphics card. The Alcatel Streak Smartphone that is hit with 1GB of RAM. Alcatel Streak is provided with an 8GB of internal storage, that can be expandable phone memory up to 32GB via microSD card. The mobile phone is running on the newest Android 6.0 Marshmallow OS out of the box. The mobile phone sports a 5-megapixel rear Autofocus camera with a LED torch, that can record 720p videos at 30FPS. There is a 2-megapixel front facing the camera for greater selfies and video calling process. The New Alcatel Streak smartphone including highlights Polaroid editing software that edits the images, and adds frame, also borders, and filters. Alcatel Streak is coming to the connectivity benefits, the smartphone Offers 4G LTE, and 2G/3G, and Bluetooth, Wi-Fi 802.11 b/g/n, and 3.5mm audio jack, with FM Radio, and Micro USB port and GPS. It is prepared with a 1780mAh battery pack. That requires to deliver up to 6 hours of talk time on 3G network and up to 180 hours of standby season, 3G also comes with a Battery saving form. The Smartphone includes 132.2×65.1×10.01 mm in dimensions and is weighing nearby 136 grams and will be accessible in silver color selection.